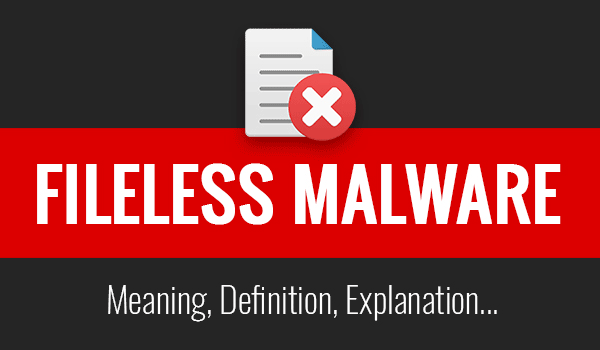 Malware Meaning | How To Prevent or Remove Malware? Malware meaning malicious software perpetrated by the hacking community can affect any computer within this world – unless it is protected by the right kind of security tools. But with the zero-day exploits on the rise, sometimes even the most sophisticated of the security tools will be of little help to you. Therefore it's worth to make a note of the various malware symptoms which your devices might display if they get infected. 1.Your System Slows Down: if your device slows down for no particular reason, then the presence of malware could be the cause of it. Because one of the main activities of malware is to slow down operating systems. Therefore the next time your device slows down, make sure you perform a malware check. 2. Too Many Annoying Ads and Pop-Up Messages: are you being bombarded with too many online ads and pop-up messages? Are they so much that they are preventing you from using your device like you would normally? This is a sure-shot sign your device is malware-infected. It could be spyware or any other dangerous form of malware. 3. Browser Homepage Changes Automatically: malware meaning malicious software can also play with your browser homepage settings. So if your browser homepage changes on its own, it is indeed an alarming sign and also means you need to 'up' your security. 4. Unusual Error Messages: unusual messages with random numbers or alphabets in them which don't make any sense appearing at unusual places on the screen within your devices is another sure-shot sign they have been compromised. Which means time for a cleanup. 5. Your Security Solution is Disabled: is your security solution – be it antivirus or an internet suite – turning off on its own. This is another signal indicative of malware presence. Believe it or not, some types of malware are sneaky enough to disable your security solution without you even knowing it. 6. And More: there are many other signals as well like unfamiliar icons appearing on screen, you are not able to turn off your computer, you can't access the control panel, the blue blinking screen, your computer screen freezes etc., all of them indicative of the fact malware is present in your device. How To Prevent Malware Symptoms From Showing Up? Now that you know several of the malware symptoms, the next step is to figure out how to prevent them from showing up. Like we said before, malware can sometimes bypass even the most sophisticated security tools. Therefore what you should do is choose wisely. In other words, look out for security tools which take the right approach which is needed to counter the modern-day malware. Comodo AEP (Advanced Endpoint Protection) takes this right approach by making use of Default Deny Platform which ensures unknown files (whether good or bad) get isolated in a separate container until they prove themselves to be harmless. This technology (Default Deny Platform coupled with Containment) proves extremely useful in protecting enterprise networks against zero-day threats that are dominating the current cybersecurity threat landscape. Apart from Default Deny Platform and Containment, Comodo AEP comes equipped with the following security features, that make it the best endpoint protection tool in the market. Extensive File/Application List: Backed by Comodo Threat Research Labs (CTRL), AEP contains the most comprehensive library of all good and bad files which make it easier to handle the unknown files. VirusScope: This technology, unique to Comodo, uses behavioral analysis to check for malware on local workstations. It restricts malicious-looking files or applications from contacting the CPU, Memory, Filesystem, Registry or other such crucial elements with your PC and thus safeguards them. Quick Malware Analysis: Comodo AEP – with the help of Valkyrie and Human Analysis – ensures unknown files or applications are analyzed within a matter of seconds. This accelerated verdict ensures enterprise networks are not burdened with too many false positives. Device Controls: These features ensure enterprises get started with Comodo AEP easily through security features like over-the-air device enrollment, default profile, policy-based management and also ensures device (and data safety) through features like anti-theft, remote data wipe, data isolation and much more. Application Security: Comodo AEP also ensures application security within the enterprise network through security features like application whitelisting/blacklisting, application inventory, BYOD protection and more. Remote Management: Remote Access with full device takeover and other remote management related provisions ensure the smooth deployment and functioning of Comodo AEP.